Newspapers across the country wrote about Jim the Wonder Dog in the 1930s, and now your newspaper can share his incredible story with a new generation of newspaper readers through the Reading Across the Nation project from the National Newspaper Association Foundation. Starting this month, the NNAF is offering newspapers the opportunity to publish “Jim the Wonder Dog,” a free, eight-chapter serialized story for young readers that tells the story of the Llewellin Setter, who amazed everyone with his ability to follow any command, hunt like a champion, and even predict the future. This is the ninth year that NNA members can take advantage of a free serialized story through the Reading Across the Nation campaign. The goal is to have young readers across the nation reading inside their community newspapers in 2017. “Jim the Wonder Dog” is produced by the Missouri Press Foundation and available to newspapers at no cost through a special partnership between NNA and MPF from Jan. 1 through June 30, 2017. Each chapter in this eight-chapter story includes a newspaper activity. A companion teacher guide is available to distribute to teachers or post on your newspaper’s website. If your newspaper is interested in participating in the Reading Across the Nation project and publishing the serialized story, visit www.mo-nie.com and use download code: nnaread. • Promotional ad. 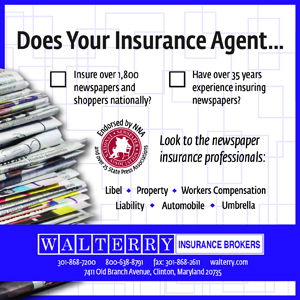 This ad is intended for publication in your newspaper prior to the story. 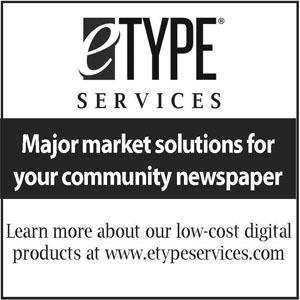 Add your newspaper’s logo in the space provided. • Educational guide. The guide MAY be uploaded to your website. Add your newspaper logo on the front page. The guide also may be distributed in print or via email to your teachers. The guide includes learning standards, which will be of great value to teachers. • Eight individual story files, one per chapter. The story is provided to you ready to publish. You may add to the feature to promote sponsors or link teachers to your website. Even if you don’t intend to provide classroom newspapers, there is still value in publishing the story for your readers to share with their families. Write a news story or editorial encouraging parents and grandparents to read the story with children and encourage teachers to read the story aloud in the classroom. “Jim the Wonder Dog” was written by Carolyn Mueller. Mueller is the author of previous stories published through the Reading Across the Nation project, including “Lily’s Story,” and “The Gas-house Gang.” Both are now available as picture books. You can learn more about Mueller at carolynelizabethmueller.com. Illustrator Christopher Grant brings Jim to life in pictures for “Jim the Wonder Dog.” Grant is a caricature artist and owner of Timid Lion design firm. You can learn more about Grant at timidlion.com. 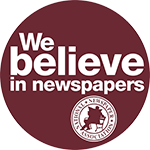 If your newspaper needs help planning, promoting or publishing “Jim the Wonder Dog,” contact Dawn Kitchell, NNA’s Newspaper In Education liaison, at 636-932-4301 or dawn.kitchell@gmail.com.